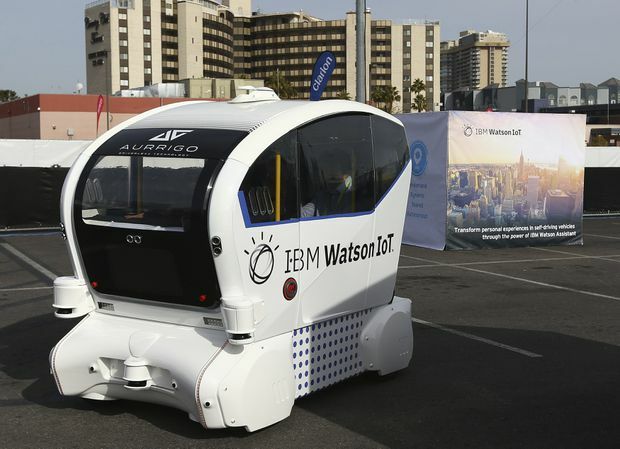 The IBM Watson IoT autonomous pod is voice-controlled on a closed course at CES International on Jan. 8, 2019, in Las Vegas. 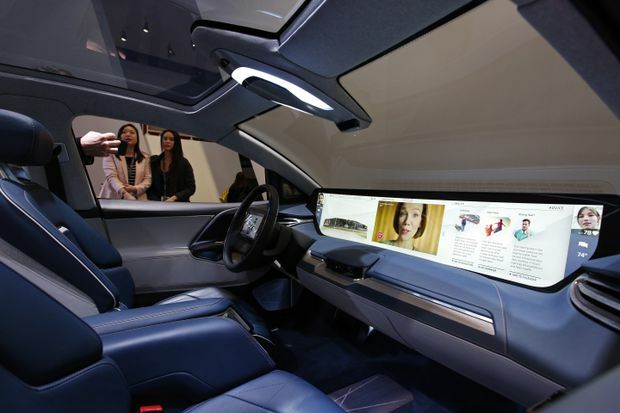 Every year at the International Consumer Electronics Show (CES) in Las Vegas, we get a glimpse of what vehicles may be – and what they could do. The event has also become an annual progress report on the latest electric vehicles and how close we are to “full driving automation,” as the Society of Automotive Engineers calls it. Here are a few vehicle trends from CES that you’ll see in the immediate future and some others that are much further away. The interior of Byton's M-Byte features a 48-inch curved screen. Byton, a Chinese electric automaker, is revealing its plan for bringing the M-Byte SUV to the United States, along with a close approximation of its high-tech interior. 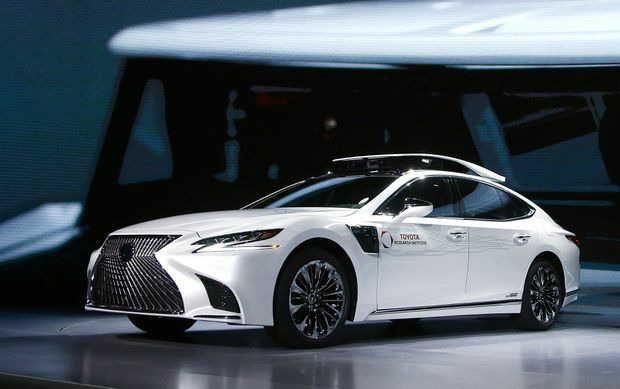 The company says it intends to retain many of the unique ideas from its concept vehicle, such as a 48-inch curved dashboard display, a touch screen on the steering wheel, and the first inward-rotating front seats in production. The Toyota Research Institute shows off the automaker's latest autonomous-driving test vehicle, called P4, at CES on Jan. 7, 2019, in Las Vegas. The Chauffeur mode employs full driving automation, essentially taking over for a human driver, said Ryan Eustice, senior vice-president of automated driving at TRI. The Guardian mode is designed to “amplify” human performance behind the wheel, not replace it, he said. 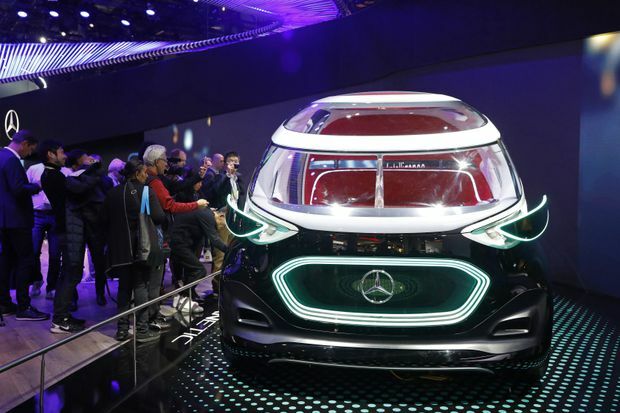 The Mercedes-Benz Vision Urbanetic is aimed at ride-hailing and delivery fleets. Hyundai Elevate: What do you do after a disaster when heavy debris blocks emergency vehicles? Hyundai’s solution is the four-legged and four-wheeled Elevate vehicle, which will walk or climb over the most treacherous terrain. BMW Vision iNext: This is a design concept that will influence the direction of the company’s next-generation electric vehicles. Inside, it features something BMW calls “Shy Tech.” These control interfaces are integrated into the interior materials and only appear when your hand touches a specific point. The goal is to create interiors that look cleaner and offer utility just when you need it. Mercedes-Benz Vision Urbanetic: This concept is aimed at ride-hailing and delivery fleets. It features an electric drivetrain and switchable bodies that can accommodate people or goods for delivery. When equipped with the ride-hailing body, it can seat up to 12 passengers. In cargo configuration, it can accommodate items on 10 40-by-48-inch pallets. The Urbanetic is also designed to be part of an autonomous fleet that can be programmed with efficient routes based on a company’s needs. The 2020 Mercedes-Benz CLA will feature the MBUX (Mercedes-Benz User Experience) infotainment interface. Audi is showing a new entertainment format, which it says will transform a vehicle into a “special movie theatre experience.” For now, the system is designed to work only when the vehicle is stationary, but Audi imagines a world in which the car is so good at driving itself that its passengers will need some amusement to pass the time. What better way to do that than to catch up on the latest movie? This story was provided to The Associated Press by the automotive website Edmunds. Safety tech in cars saves lives, but how do you use it?